Plan to read a lot this year? Yes? That’s awesome! 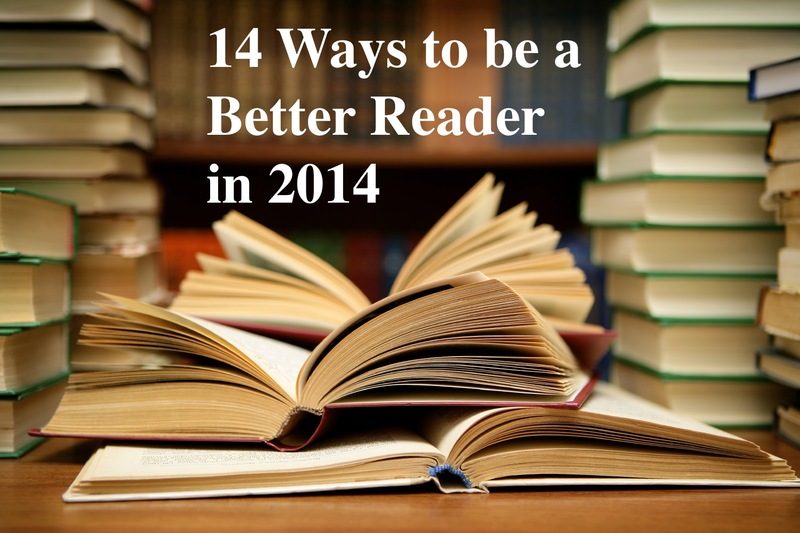 As we enter 2014, here are 14 tips* for better reading so you can get the most out of your books. * NOTE: Almost every tip here is borrowed or taken directly from Lit! A Christian Guide to Reading Books (Crossway, 2011) by Tony Reinke, an exemplary bibliophile who also writes a great blog about books. I thank him for writing such an excellent and helpful book, and for inspiring me both as a reader and a blogger. I also am indebted to Mortimer Adler’s How to Read a Book (Simon & Schuster, 1940), an invaluable classic beloved by generations of readers. Not all books are created equal. Today we’re blessed with many good books, and unprecedented access to them, but there’s no substitute for spending time with those books that have stood the test of time and shaped our world. The effort they require is more than surpassed by the reward, like digging for gold – difficult but profitable. If you’re not sure where to begin, a good place to begin is Mortimer Adler’s “Great Books,” which covers the foundational texts of Western world. To get the most out of your reading, establish priorities to guide your reading diet. A good way to set priorities is to base them on your roles in life, such as husband/wife, father/mother, student, professional, friend, and so on. For me, these include: Christian, husband, son, brother, and friend. To read more, you must read consistently. 15 minutes every day is perfectly doable if you’re serious about reading. To read more, find time everywhere and anywhere to read. These small chunks add up faster than you’d think. For example, Tony Reinke says he reads over his morning scrambled eggs, lunchtime tuna salad, at the DMV, and to his kids before bed. 6. Use a pen, highlight, circle, and make notes on the margins. Tony Reinke calls this the art of “marginalia,” which is to deface a book’s margins with your thoughts, questions, and protestations. These show that you’re engaging with the material and the author, not simply passively absorbing words on a page. Also, know that you can do this with an electronic reader, so for all the Kindle lovers out there, this goes for you too! 6. Keep a dictionary handy. Want to grow in your vocabulary and improve your ability to understand more difficult reading? Keep a dictionary handy to look up words you don’t know. I myself have often tried this but not kept up, but it’s a worthwhile habit that pays off in the long run, and not just because you can drop big words at cocktail parties like Snoop Dogg drops it like it’s hot. Again, electronic readers have a dictionary as a built-in function, so use it! 7. Summarize, make outlines, or paraphrase chapters. This is another useful tool of active reading. I confess that I don’t yet do this, but it’s a valuable and worthwhile effort by the reader, if he wants to better understand and retain what he reads, to briefly summarize or recap what he’s read, both at the end of chapters and at the end of a book. 8. Dog-ear pages containing “Wow” passages. One of my most useful habits is to dog-ear pages that contain a striking passage to which I may want to return later, making it easier to find these. This, moreover, helps set apart the “Wow!” passages from everything else you underlined, circled and highlighted. Some people view dog-earing pages as a barbaric act unbecoming of those who respect books, but I think this is baloney; I value books not for their neat packaging and pristine look, but for the content of their pages. Don’t be afraid to really own your books. 9. Read 3 books at a time. Tony Reinke explains that he reads three books at a time because different times of the day are suited for different types of books. For example, most of us won’t dive into a breezy, light novel at the beginning of our day, just like we won’t try to read a more demanding book about, say, theology or philosophy, just before bed. Tony Reinke devotes a chapter to this, arguing that reading and discussing books with others not only helps to retain what is read, but it’s a great way to build community. Read with a friend, with your significant other, or with your family, and join or start a book club. Spread the book love! 11. Stop and think, don’t just react. First seek to understand the author’s message, and once you understand it, evaluate the strength of the author’s main argument(s) and the ways she supports it. And always, always, always ask the most important question you can ask of anything you read: is it true? Does it accord with what is real, true and good? 13. Teach what you read. Teaching, or sharing, what you read is a fun and great way to better your own understanding. Knowledge is to be shared, for the good of others and yourself. 14. Read the Bible (and throw in some Shakespeare). 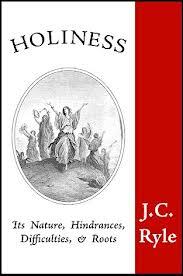 For life, wisdom, joy, and faith, read this book above all. Even if you’re not religious, the Bible is not only beautifully written, but it will enrich your reading in general because Western literature is filled with biblical allusions and references. As some have said, the Bible and Shakespeare (who knew his Bible well) are two foundational sources of Western literature.